I didn’t know that the reality would be a heartbreaking turf war, filled with drama and death. I mean, I’ve read that birds fight for territory and sometimes steal nests and crush other birds’ eggs. However, when I’ve read about putting up birdhouses, it all seemed beautiful. I couldn’t tell at first who had won the battle because I saw both the wrens and the sparrow on the bird house this morning. Later, though, my husband EJ saw the wrens eggs broken on the ground. 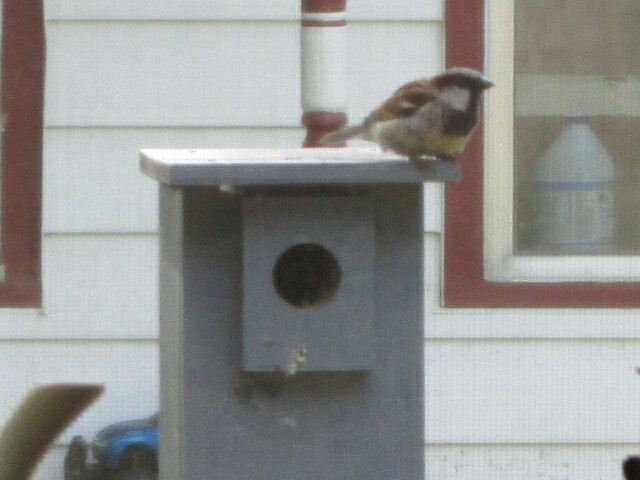 Now I see only the sparrows at the bird house. So the sparrows won and the wrens lost not only their house, but also their unborn young. When our son heard that the sparrows were now living in the house, he was upset and wanted to avenge their deaths. He is tender-hearted and wouldn’t intentionally hurt any animal, which is why he was upset that the sparrows had taken over the house and pushed out the wrens’ eggs. Even though I was sad, I told him to let the birds work it out. It’s part of the drama of life. 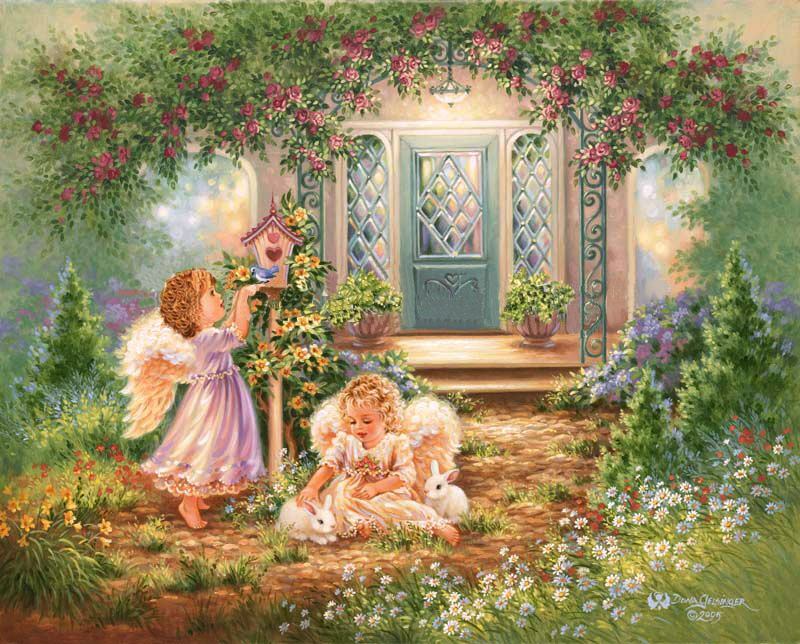 Even though I am not sure I am ready for this tragic life and death soap opera outside my window–for goodness sakes, life is stressful enough and all I wanted was to enjoy the miracle of birds nesting–I am searching for more birdhouses to put up. It is true that life is often a heartbreaking struggle, but the struggles still can’t silence the wonder and joy of life. Still…I will try to find wren houses that larger birds can’t get into to.